The "real" When on Google Earth 86! Following the attempted usurpation of WOGE86, here is something REALLY old! 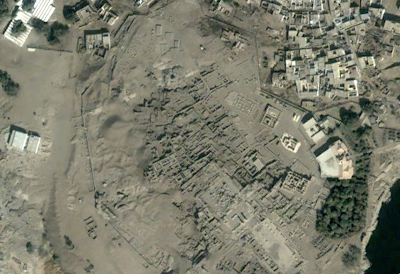 That would be Elephantine (incl the Temple of Khnum in the bottom half), Dyn. III through Late Antiquity. Well done, Troels. You get to post the next WOGE puzzler. Apologies to all for haste in setting up a false WOGE. All traces of which have been expunged from the net.